Busy shoppers are warming up to Kellogg's frozen foods. For the first time in two and a half years, the company reported growing sales, thanks largely in part to frozen offerings such as Eggo waffles and Morningstar Farms breakfast sandwiches. Kellogg's stock soared 7% following the report. While cereal is still king of the breakfast world, frozen foods are having a moment -- especially frozen sandwiches and pizzas. The global frozen food industry as a whole is expected to bring in $360 billion by 2024, according to a new report by Grand View Research. Healthy frozen offerings are doing particularly well, says Darren Seifer, a retail analyst at research firm NPD Group. "Consumers have always demanded speed. They're also demanding more protein. That's been a huge driver of frozen breakfast sandwiches," Seifer adds. Kellogg is capitalizing on that trend with its Morningstar Farms brand, which offers meat-free takes on classic breakfast staples such as the sausage, egg and cheese. This may all seem like great news for Kellogg's new CEO Steven Cahillane, who took over earlier this month. But there's cause for concern. 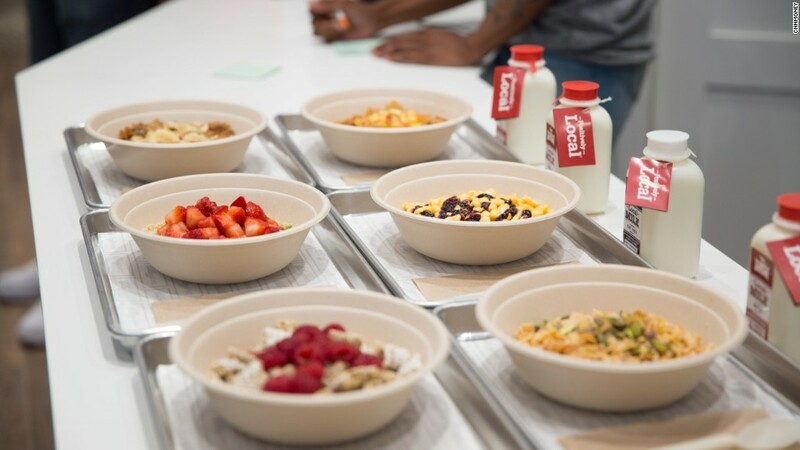 The company's breakfast division -- which still relies heavily on sugary staples such as Frosted Flakes and Pop-Tarts -- sunk 3% last quarter compared to the same time last year. Kellogg's stock is down nearly 16% overall this year. Kellogg also suffered a PR blowup earlier this month after a consumer complained that the art on its Corn Pops cereal boxes was racist. Still, Kellogg's breakfast division isn't exactly dried up. It makes up 22% of the company's $13 billion in annual sales, slightly less than its snack division, which makes Keebler, Cheez-Its and Pringles. Kellogg (K) is even rolling out a new breakfast cereal in November: Chocolate Frosted Flakes. Kellogg hopes the chocolate flavor will make up for the fact that Kashi -- the black sheep of Kellogg's cereal offerings -- continues to slip. Kellogg has badly mismanaged the brand, overexpanding and failing to ward off an increasing number of competitors. To also attract more health-conscious consumers, Kellogg is investing in the lucrative snack business. In one of his first big moves as CEO, Cahillane announced plans to purchase America's fastest-growing nutrition bar company, RXBar. But for now, investors are embracing what Americans have always known: There's nothing quite like a good breakfast sandwich.